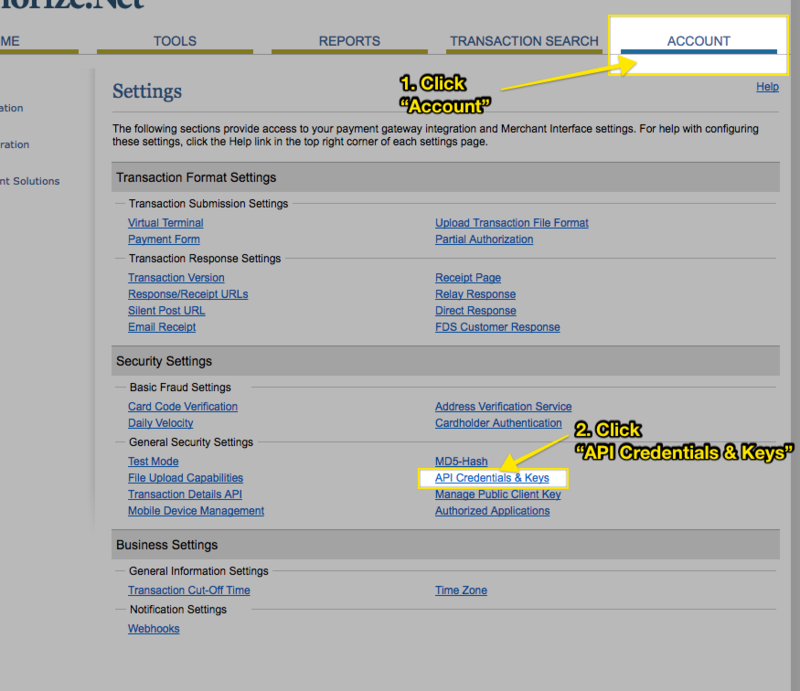 If its the first time setting up payments you will want to select: "Authorize.Net"
To connect your portal to Authorize.net, you will need a "Login ID" and "Transaction Key". There are details about how to obtain those credentials below. 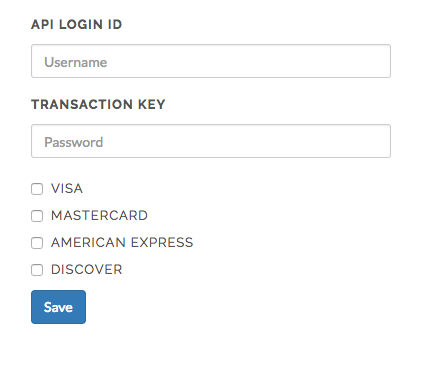 Click "Account" then click "API Credentials & Keys"